Roadside emergencies happen. You don’t expect to be stuck on the side of the road, but when it happens, it’s good to have someone to call for help. Roadside assistance gives you peace of mind when your car breaks down unexpectedly. The team at CarRegistrationAdvisors.org knows that breakdowns happen, and roadside assistance is a great tool to getting back on the road. There are many advantages to having roadside assistance, so read below for the top three benefits. Nothing can ruin your day faster than trying to start a car with a dead battery. You may have forgotten to turn your lights off, or maybe your battery was getting old, but now you can’t move until you receive a jumpstart or the battery is replaced. Roadside assistance can come to your location and jump-start your car so you can get back on the road. A jumpstart can get you going instead of staying stranded, and the team at CarRegistrationAdvisors.org knows this can be especially important in cold or unfavorable weather. Driving your car until the gas tank is empty is more than just a bad habit. This not only damages the fueling system of your car, but if you run out of gas, you could be left stranded on the side of the road. You may be forced to walk to the nearest gas station if no one can come help you. Roadside assistance services can bring you enough gas to get you back on the road. They provide you with enough fuel to get you to the nearest gas station. 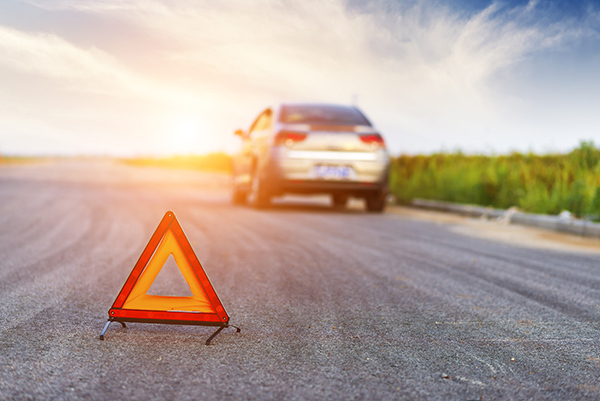 The experts at CarRegistrationAdvisors.org know that being stuck on the side of the road with no gas can be frustrating, and roadside assistance can get you back on track. One of the most common car inconveniences is a flat tire. It happens to the best of us, and it usually occurs smack in the middle of when you have somewhere important to be. The team of experts at CarRegistrationAdvisors.org recommends keeping a spare tire in your trunk to prepare for these kinds of circumstances. If you have a spare tire, a car jack, s wrench and other necessary tools to replace the flat, you can fix it yourself. Although you may be able to replace the tire easily yourself, it may be difficult to do the job safely on a busy road. Being stuck on the side of the highway is a very unsafe place to replace a flat tire, and it may be easier to call for assistance. A roadside assistance service will come to the location of your car and replace the tire for you, so you can remain safe in your vehicle. Roadside assistance may be especially helpful if you are driving with children in the car, or if you don’t know how to replace a tire, yourself. Make sure the spare tire is secured on your car properly before you start driving again. This ensures the safety of everyone on the road.